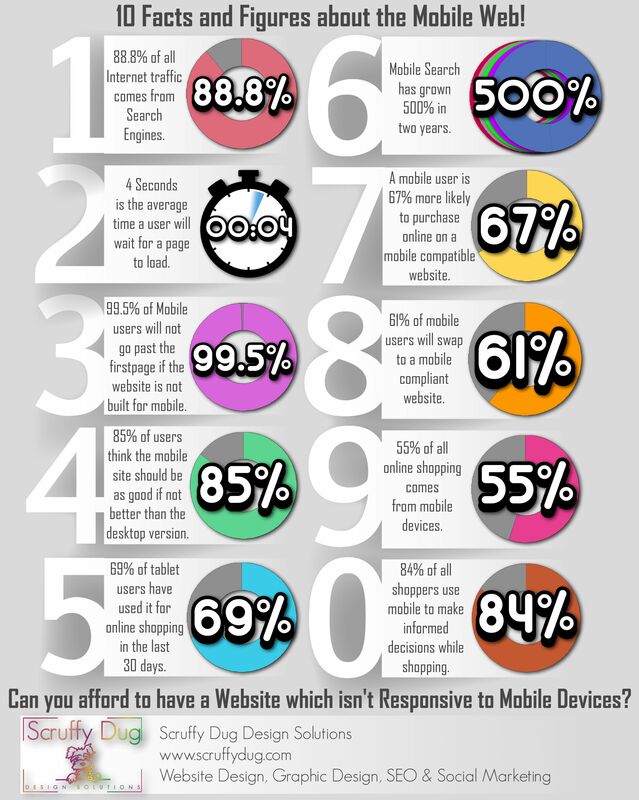 10 Facts and Figures about the Mobile Web Infographic. Just a little infographic we’ve knocked up to help us inform our clients about the importance of the Mobile Web. So what can Scruffy Dug do to help. We can help with SEO, so you can be more easily found on the Internet. We can help build you an up to date, attractive website, and make sure it’s hosted on a powerful server, to ensure it’s served quickly and responsively to whatever device a user wants to view it on. So can you afford to have a website which isn’t responsive to Mobile Devices?